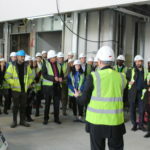 Supporters of London’s first OnSide Youth Zone were given a sneak peak of the ‘Future’ as the doors for the facility were opened up for the first time. 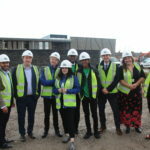 Barking and Dagenham is preparing to create history in Spring 2019 when the £6.5million development will open and transform the lives of a number of youngsters in the borough. 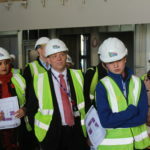 has turned the dream of a Youth Zone into a reality – were given a special tour to see the amazing progress being made. 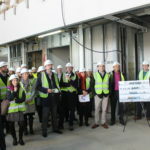 The £6.5million construction costs have been contributed by Barking and Dagenham Council, the Jack Petchey Foundation, The Queen’s Trust, Seroussi Foundation via Vistra Jersey and UBS Optimus Foundation, while contributions to the annual £1.3million running costs are being funded by a number of local businesses, grants and philanthropists. 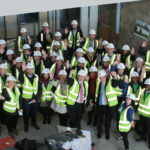 Once open next year, young people will be able to access top class facilities such as a four-court sports hall, 3G kick pitch, giant climbing wall, music room with recording studio, performing arts studio, gym, art room and much more. 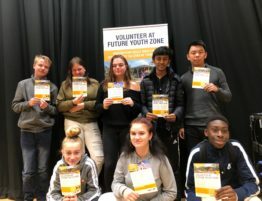 OnSide has been working with a Development Group, consisting of local young people, who have already had a huge hand in the development of the Youth Zone, even coming up with the name ‘Future’ as well as interviewing staff members. 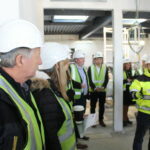 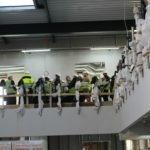 Councillor Darren Rodwell, Leader of Barking and Dagenham Council was among the guests attending the Parsloes Park site and was taken through the various rooms to see how the building will take shape. 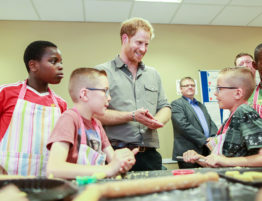 Many had already visited other OnSide Youth Zones in the North West and were able to visualise the incredible offer that will be available to Barking and Dagenham’s young people for just 50p per visit. 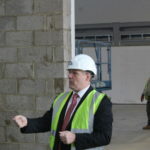 The tour was led by OnSide’s facilities team and hosted by Youth Zone Chair Charles Mindenhall and Chief Executive Gavin Evans. 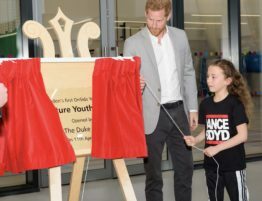 The Youth Zone will be the first developed by OnSide in London and will join the network of 10 in the North West and Midlands. 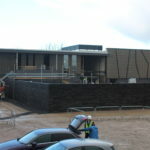 It will be run by a local board and staff team as an independent charity. 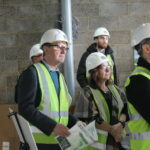 CEO Gavin Evans said: “We were absolutely delighted to show all our guests the amazing progress being made on site, it’s so exciting to see the building taking shape and the rooms coming to life. 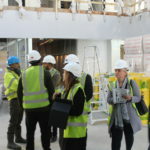 “The commitment that our funders have made at this stage in the project is inspiring and we are looking forward to sharing our future milestones and successes with them. 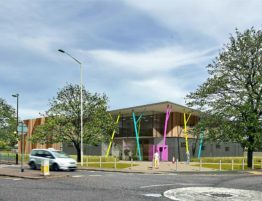 Councillor Darren Rodwell, Leader of Barking and Dagenham Council, said: “The Youth Zone is looking amazing and it is everything we hoped it would be. 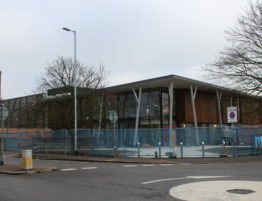 The vision was to have a gem in the centre of the borough and we are certainly achieving that. 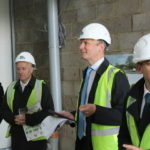 This facility is going to support thousands of young people and that is incredible when you think about what will be on offer for them. 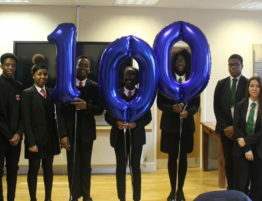 The team at Future is still on the fund-raising campaign, looking to grow its Founder Patron family to maximise the offer it gives to local young people. 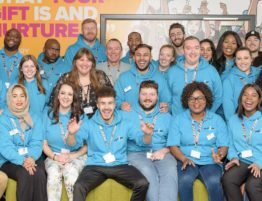 The Youth Zone’s core staff team was recently appointed with recruitment ongoing throughout the new year. 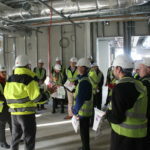 As well as the 50-strong staff team, the Youth Zone will rely on the support of 100 volunteers who will be the heartbeat of the facility.